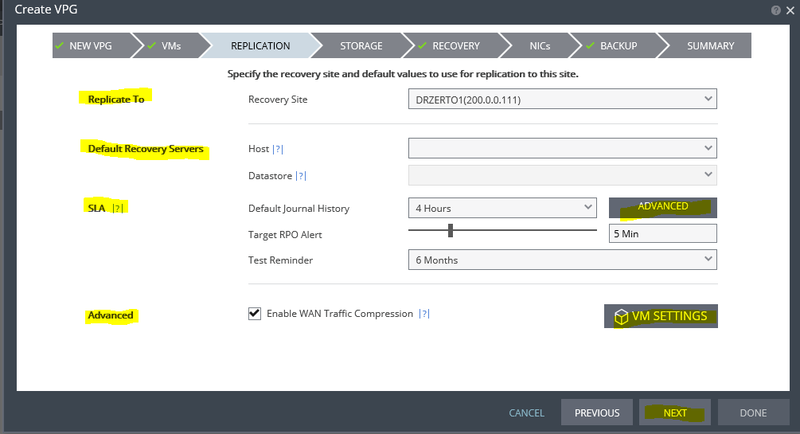 This is Blog 3 in the Zerto Replication 4.0 Series. 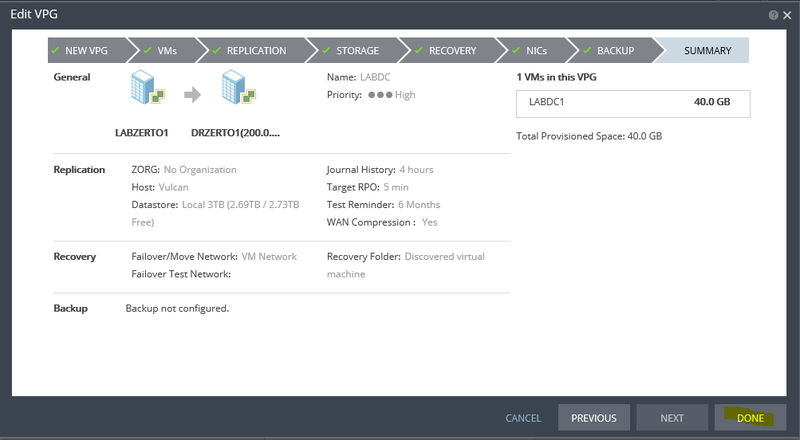 This blog will cover the Virtual Protection Group (VPG) setup. 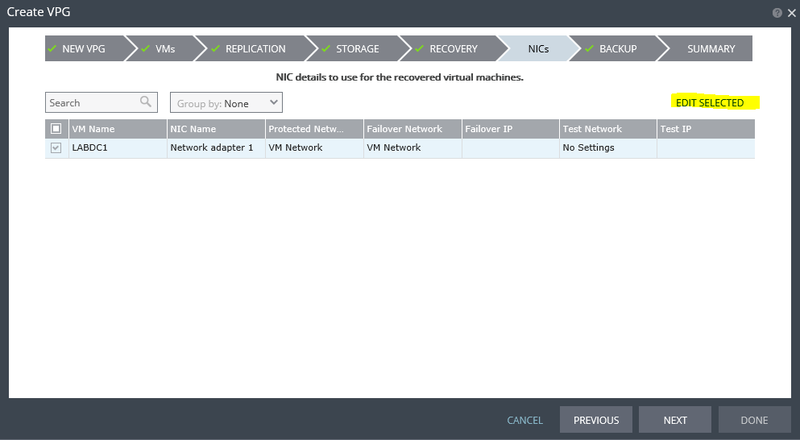 Select the VMs available that you need to protect. 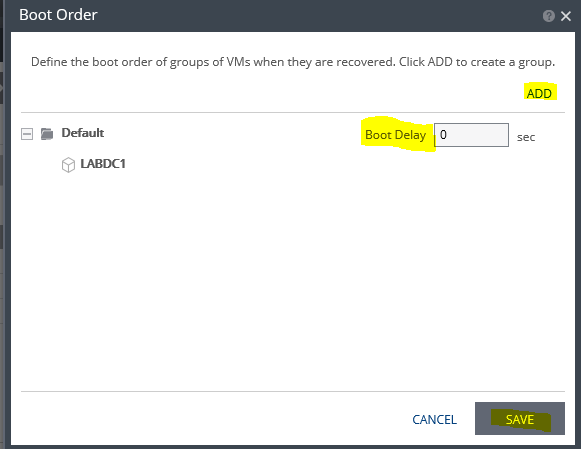 Define the boot order and the boot delay. At this point you are ready to define the replication. SLA: Define Journal History, Target RPO Alerting and a Test Reminder. The advanced journal settings tab will be detailed next. 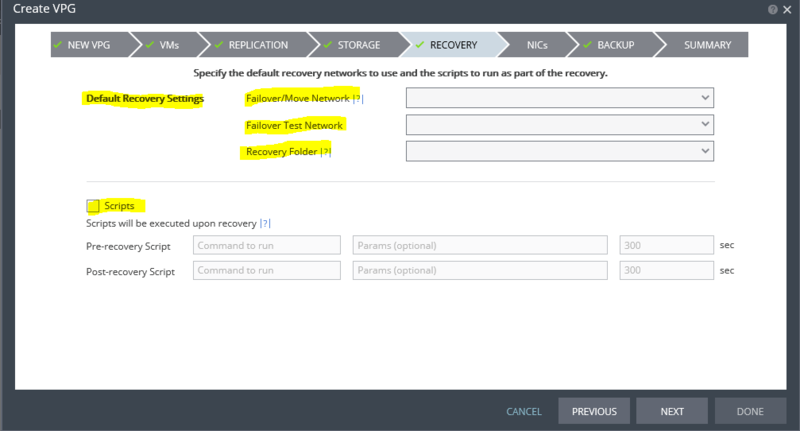 Failover/Move Network, Failover Test Network and the Recovery Folder. You can also define any scripts that you may need to run. Review the NICs Section. Here you can edit individual VMs. 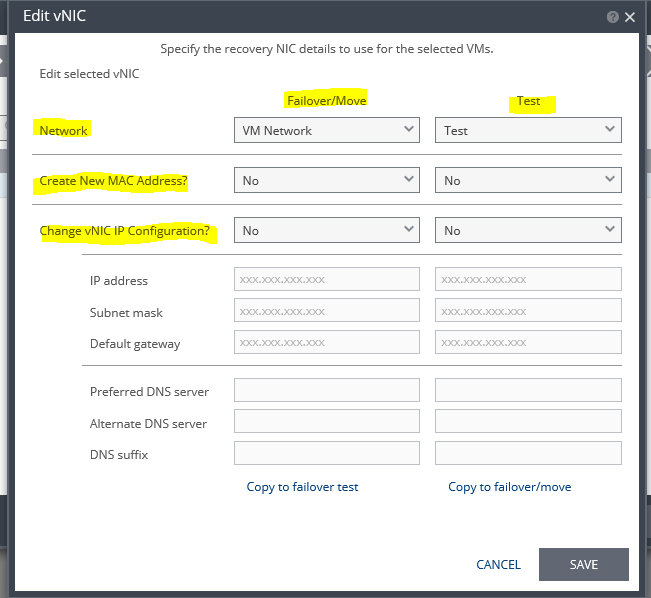 This is need if you need to change IPs in the event of a failover or test. 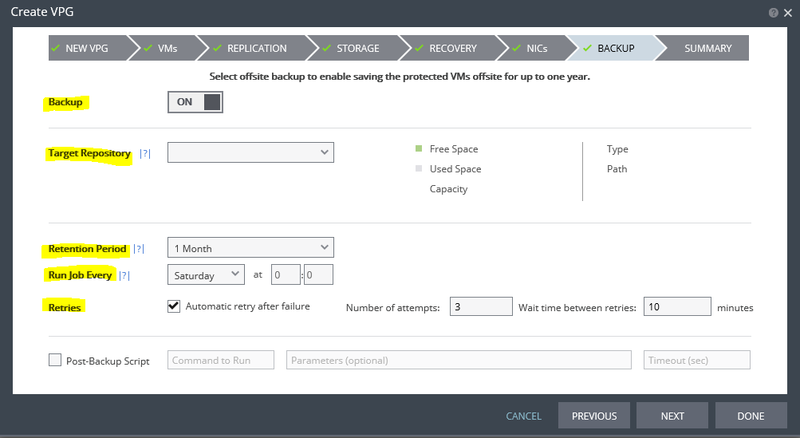 There is an option for a “Backup” as well. I will not be going over this but below is a screenshot of what you can do. 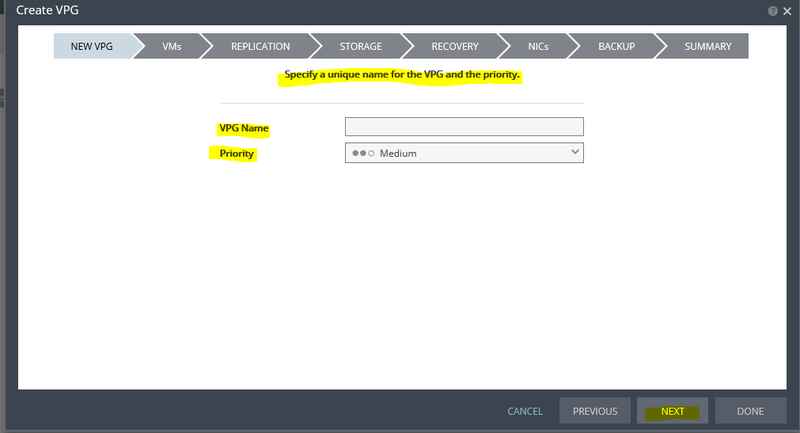 Go back to the VPG Section and the VPG will now be listed and in “Initial Sync”. Once it has completed you will see several different things including SLA and RPO. My next blog in the series will cover the “Test Failover”.